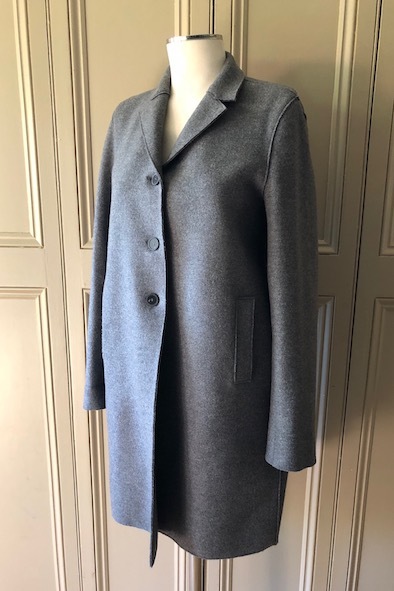 This stylish grey boiled wool, single-breasted coat by Harris Wharf London is a size 46 IT / 14 UK and it has been worn once. 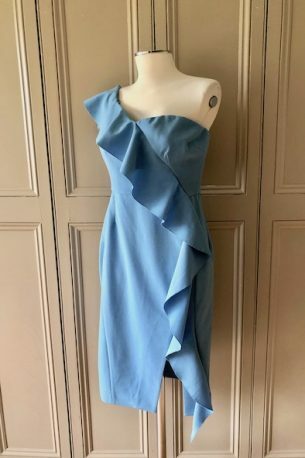 It is unlined and features pockets. 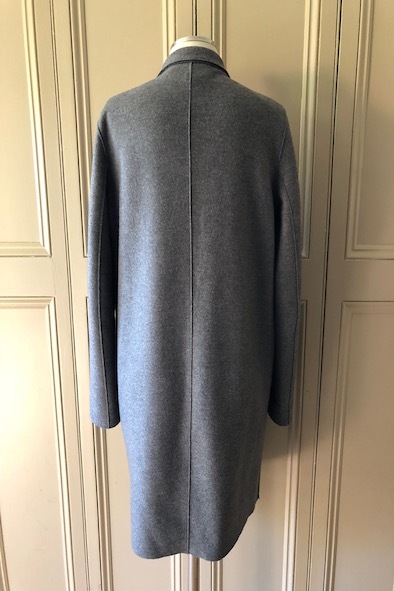 The coat is extremely versatile and looks great worn over a dress with tights and heels or alternatively dressed down over boyfriend jeans, a slogan knit and Golden Goose trainers. 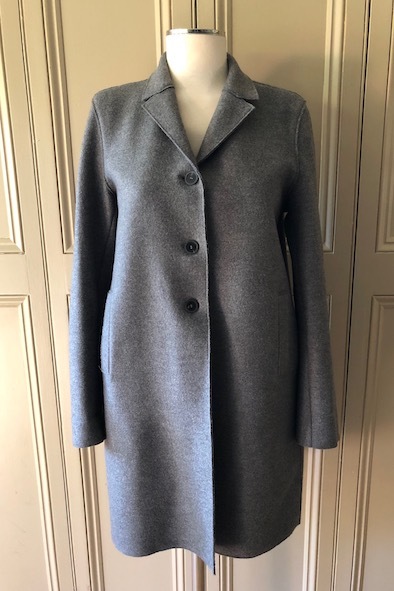 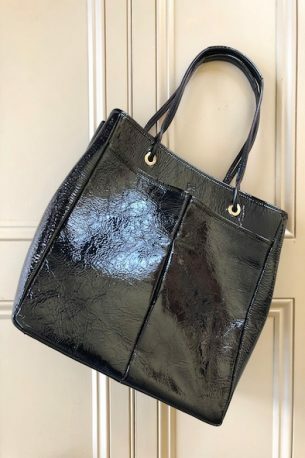 A beautiful style steal and half of it’s original price at £175!